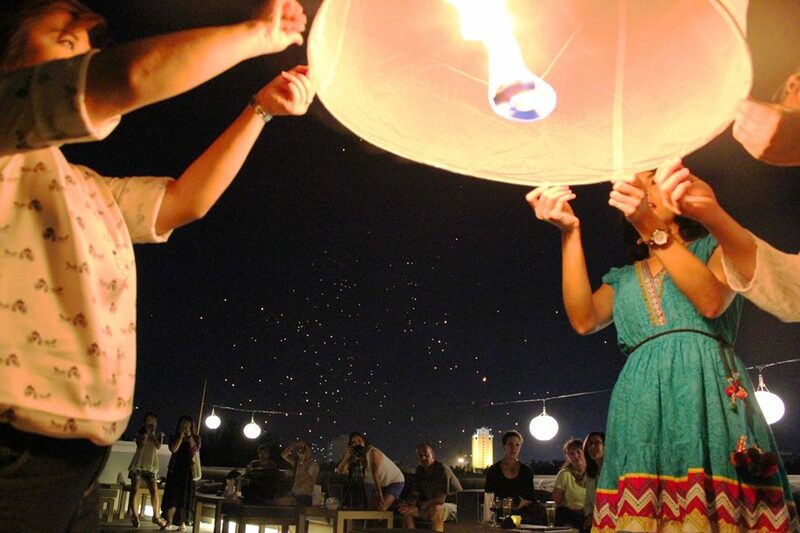 SALA RESORTS & SPAS will be celebrating Loy Kathrong at its resorts throughout Thailand. The festival is one of the most popular in Thailand and is celebrated on the full moon of the 12th lunar month. This year it will be marked on Nov. 25. The celebration is an expression of gratitude to the goddess of water, where individuals release candle-lit offerings into rivers or the sea, or send rice-paper balloons aloft into the night sky with their wishes. At SALA Samui, Loy Kathrong festivities will include a traditional Thai buffet, featuring cuisines from Thailand’s four regions. Cost – 1,450 THB per person. For more information, call 66 (0) 7724-5888. The festival will also be marked with a night of Thai cuisine and culture and romance, which is also associated with Loy Kathrong, at SALA Phuket Thai Village Market. Cost – 1,600 THB per person and 3,800 THB per couple. For more information, call 66 (0) 7633- 8888. Chiang Mai is one of Thailand’s most popular Loy Kathrong destinations and at SALA Lanna, there will be riverside dining options that include international buffet options. Cost – 1,900 THB per person. For more information, call 66 (0) 5324-2588. At SALA Ayutthaya, Loy Kathrong festivities start with a four-course Thai traditional set dinner that features a view of Wat Phutthaisawan and a Thai masked (Khon) dance show. Then, make your wish and release your kathrong onto the Chao Phraya River. The dinner is available from 6 to 10 p.m. Cost – 1,500 THB per person and includes a kathrong for each table. For more information, call 66 (0) 3524-2588. SALA Rattanakosia will be marking the festival with a six-course set dinner and cultural entertainment at 7,500 THB per couple. SALA Rattanakosin eatery and bar will be offering a mini BBQ buffet at 2,500 THB per person at The Roof. Prices include a sunset cocktail party at the Roof from 6.30 to 7.30 p.m. For more information, call 66 (0) 2622-1388.